Tattoo stickers, these days have gained much popularity as the process of permanent tattoo involves lot of pain. Keeping the same in mind, we impart large gamut of permanent tattoos offered in varied interesting designs and colors. However, one can also get permanent tattoos customized for meeting their choices and preferences. The permanent tattoo is well “permanent and carry it along with you throught your life. So, taking up a decision about the design is must before getting it inked.We charge Rs.600 for black and Rs.800 for color per sq. inch. 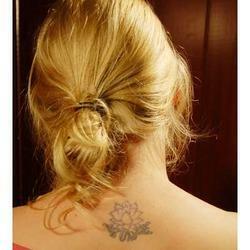 Permanent tattoos are very common. They are made with inks that are stronger, penetrate deeper and are harder to remove. The quality of the ink is tested and the ink is infused in the skin in a manner so as to avoid the color from washing off. 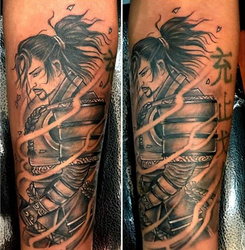 With our superior efforts, we are able to provide Permanent Tattoo Services known for their attractive and artistic designs. With the support of our proficient employees, we are able to meet diverse needs of the market and provide reliable services in wide varieties of designs. These services are largely acclaimed in the market and are high in demand.